2016 TKR: Givers and Takers, Agreeables and Disagreeables. Especially the disagreeable givers. The disagreeable givers will tell you what is wrong with your idea and then try to help you fix it. New York Times bestselling author, Professor Adam Grant shows us how to improve the world by championing novel ideas and values that go against the grain, battling conformity, and bucking outdated traditions. Final report on the TMFFail project. The project developed a test object/protocol that could reliably replicate the problem. The project was publicized in a blog article. It attracted tests and expert opinion. A fix was developed by one of the OS Devs and placed in the OS 0.9 master. sometimes a few faces don't change. I got a number of helpful responses. The outcome was that Ubit, an OS Dev, found a way to fix the problem. comments on the benefits of test objects and protocols. Ngā mihi o te tau hou: This week the Short Poetry Workshop celebrates the Māori New Year – Matariki. The Matariki star cluster is known as Pleiades. Guest host Ngagpa Writer will introduce the Pleiades which is a 7-line poem. Each line of the poem starts with the same first letter of the title word. So join us at the Short Poetry Library to celebrate Matariki and learn, write and share the Pleiades. Video: At a recent WIP meeting Kayaker Magic demonstrated a horse he was scripting, this one in western tack. He showed how he created reins to go from the rider's hands to the bridle by using the target feature of the particle system. He also described a problem he was having with the animation of the legs, apparently caused by the large number of instructions required to animate legs and the other parts of the horse and the western tack. The problem described here may call for IMA TestWG to develop a problem analysis test suite. Storytelling is popular is virtual worlds. It requires mostly talk, scenery and possibly music. All these can easily be provided in a web-world, where the access is much easier. There are stories here at Mos Eisley. We all remember one. There are many more. That old wizard, Obi-Won Kenobi has hundreds. Can we go there again? With less violence and more stories. Yes, we can go there through the virtual world portal in Kitely. But soon there may be an even easier route. We could go there through a portal in a browser. We might meet other people who are as interested in stories as we are. We could talk with them, chat about the stories. Talk about new plots and characters we would like to see. Meanwhile, here is a web-world you can visit now. You can log in as a guest, no registering. See how easy it is. Not Mos Eisley Cantina. Just a little place to chat. I will be there almost every weekday at 10-10:30 AM California time. Soon I hope to show you instructions on how to start on your own web-world. Some of my friends have imported parts of an OAR file into a web-world. So importing the scenery is possible, but not yet easy. 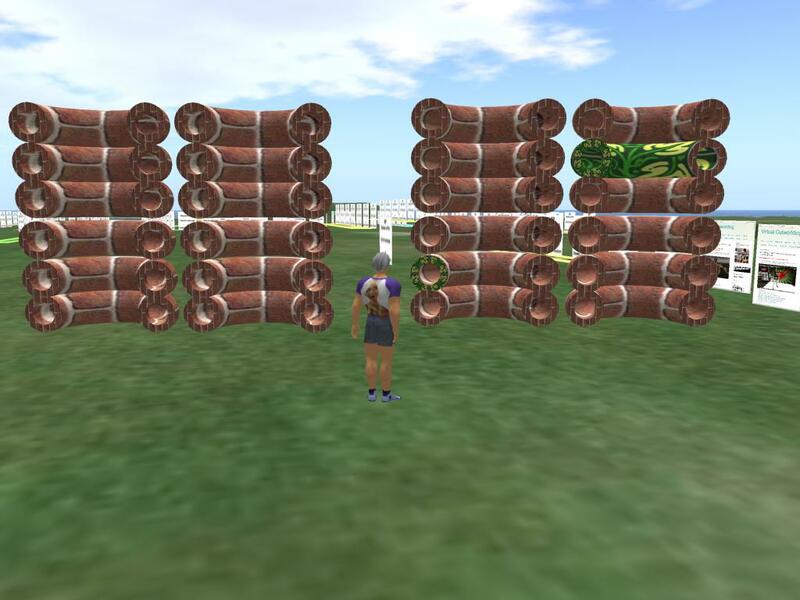 2017 SEE: Touring the Hypergrid: Metaverse tours. Tell us about your place. 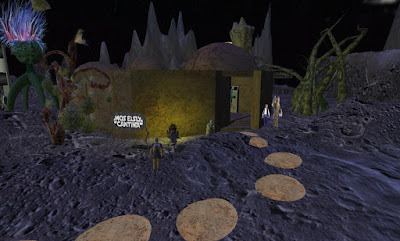 Touring the Hypergrid: Metaverse tours. Metaverse tours visits interesting places in the Hypergrid every Saturday. Often we get a video and I post that in this blog. 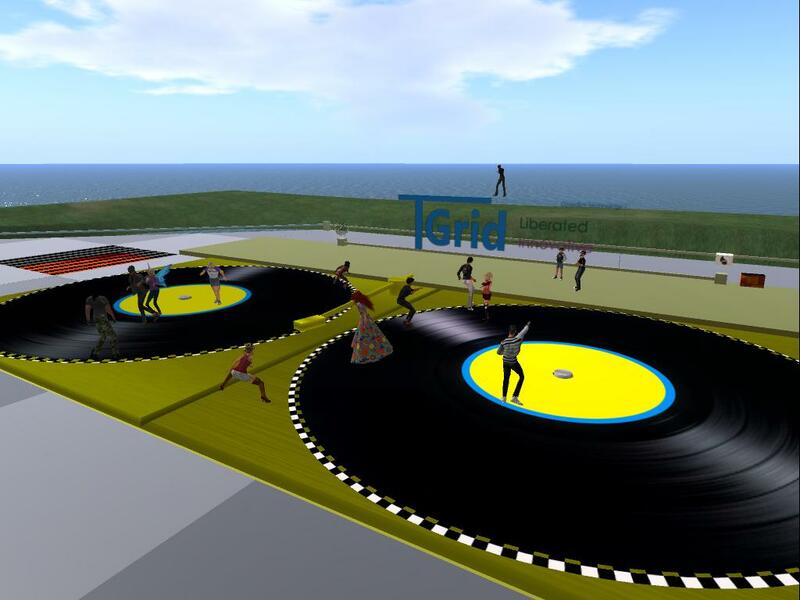 If you have a place of interest on the Hypergrid, post your invitation in Metaverse Tours, a G+ Community. We may not have a large group, but we usually get a video and an article in Virtual Outworlding. HG Safari tours several destinations on the Hypergrid every week, starting at noon California time on Wednesdays. I usually catch the first hour of the tour and often get a few pictures. Here are some pictures from various tours. IMA WG31Test Management work group is organized and has begun work. One active project and two upcoming projects are described. Current members are listed, along with an invitation to join. The use of the IMA project management service is illustrated. Comparison suites for versions, modules, etc. Click the name of a person to find out what else that person is doing. To join this group and start working on a project, contact Selby Evans -- or just mention your interest in a comment on this article. Pepperland in a 3D virtual world. Pepperland II in Littlefield grid is based on the 1968 ground breaking animated cartoon, 'Yellow Submarine'. This installation art recreates scenes from the 1968 musical fantasy Yellow Submarine, an animated film based on the songs of the Beatles. Created and built by Mudpuddle Cleanslate and Chelsea Louloudi. In Littlefield grid, find Pepperland II on the world map, teleport.